« 24th Titanic International Film Festival – extra screening – RAW! Wednesday, April, 19. 2017. – 8.p.m. Melingo is the legend of Melingo, the main protagonist in a life sometimes too intense, which had, inevitably, to lead to the tango. To be Melingo must simply be the one, must walk the streets sniffing out poetry like a bloodhound. One must dance like a whip and sing like a scar. Melingo is major musician. He studied at a Conservatoire but retains little of that institution. He was … and always will be … a furious adventurer, fevered, hallucinating. 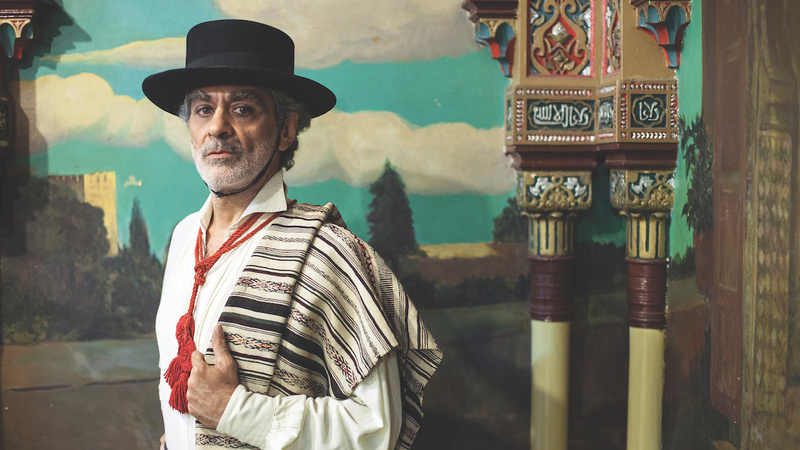 A bohemian of Buenos Aires and so of the world. We can call him Maestro because he has achieved simplicity. Nothing more natural than the roaring fire of its tangos. Santa Milonga pulverizes the barriers between the sacred and the profane. These songs hold as much adoration as irreverence. There is a truckload of orthodoxy and tons of heresy. There is excess and beauty. Love and mockery. Melingo enters the high places of River Plate music without knocking. The gates open as he passages for he has won himself the right to play with the law of tango.